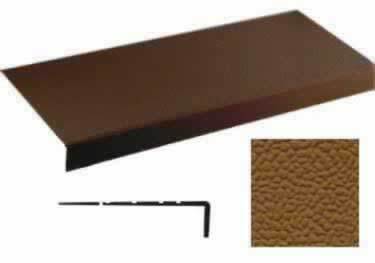 Showing 1 - 8 of 8 Search Results for "johnsonite rubber stair treads"
Search: "johnsonite rubber stair treads"
Johnsonite Rubber Stair Treads-One-Piece design seamlessly integrates the riser and tread as one piece, making it easy to install. 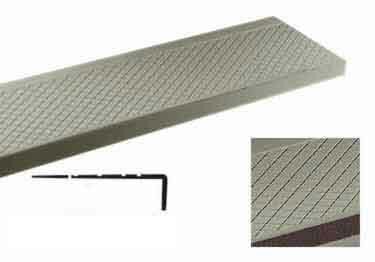 Johnsonite Diamond Surface Rubber Stair Treads has been the staple pattern of over 40 years. 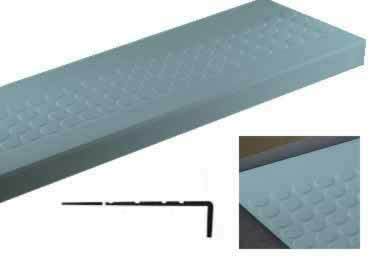 Providing excellent traction while still creating a magnificent design, with optional grit or rubber friction strip. 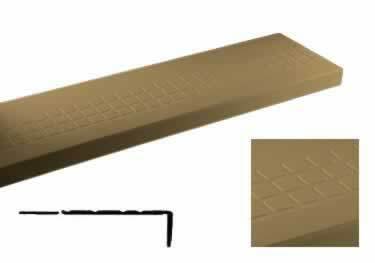 Johnsonite Raised Square Surface Rubber Stair Treads has the most contemporary look. 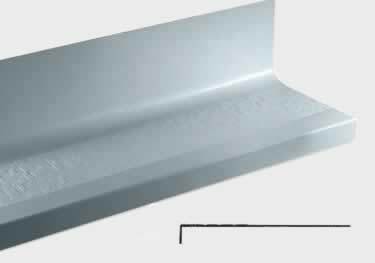 Featured in many new construction projects, with optional grit or rubber friction strip. 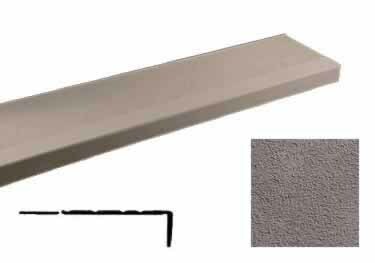 Johnsonite Hammered Surface stair tread, has an actual hammered or pebble look is a subtle but yet attractive designer patter for today''s simple look, with optional grit or rubber friction strip. Johnsonite''s Smooth Surface rubber stair tread is the most economical solution to stairwell management, with optional grit or rubber friction strip. Available in 75 colors. Johnsonite Rubber Stair Treads with extended 14" depth and hammered surface are durable, high quality treads that help keep stairways safe while looking great! The raised hammered round surface has a subtle pebble look. Johnsonite Raised Round Surface Rubber Stair Treads is their most popular tread, leading the way in contemporary design with optional grit or rubber friction strip. Johnsonite Rubber Stair Treads with Rice Paper Surface was thoughtfully designed for both performance and appearance. The softened graining adds a muted, reflective contrast to the surrounding areas while making this tread surface easy to maintain.